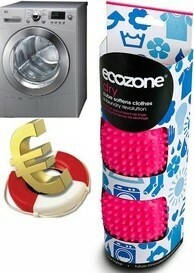 At Purchase.ie we recommend using the tumble dryer as little as possible as it drives energy bills upwards. There will always be times when the clock is against you though and you really really want to wear something but can dry it in time without the assistance of the tumble dryer. When this happens you should always use Dry Cubes which not only help to soften the clothes but will reduce drying time by 30%.